Between the third period and overtime of the Vancouver Canucks and Los Angeles Kings Game Two of their Western Conference Playoff Series, CBC Hockey Night in Canada host Ron MacLean made reference to his saga with Alexandre Burrows shortly before heading to commercial break. Stemming from an incident earlier in the year where Burrows was in the news for challenging the officiating in a game versus the Nashville Predators, MacLean, a hockey official when he is not hosting CBC's Hockey Night in Canada, conducted a segment which has been widely called into question as inappropriate journalism and undue character assassination of Alexandre Burrows. The situation seemed to remedy itself by being swept under the rug a few weeks later after the Canucks boycotted CBC for interviews. However, as is tradition when NHL Playoff games head into overtime, each analyst / television personality on the show is asked to select one player from each team who they think will score the overtime winner. This has gone on for every overtime game in the NHL Playoffs for years, and both CBC and TSN do this little game. Never have we noticed on commentator selecting two players on the same team, but that's exactly what Ron MacLean did on Saturday night. After Glen Healy selected Alexandre Burrows from the Canucks, and a Los Angeles King, Ron MacLean stumbled over his picks, before selecting Kings' Fredrik Modin and Jack Johnson. Just a simple mistake? Perhaps, but when Glen Healy emphasized Alexandre Burrows name, and suggested Ron MacLean 'bury the hatchet' with Burrows and the Canucks, Ron MacLean appeared a bit annoyed. Then, MacLean was poised to end the segment with a pun (as he typically does). This time he muttered 'Bury the Hatchet? More like Hatchet the Burrows'. It will be interesting to see how this story plays out and if MacLean takes any heat over his additional comments on this story that does not seem to go away. 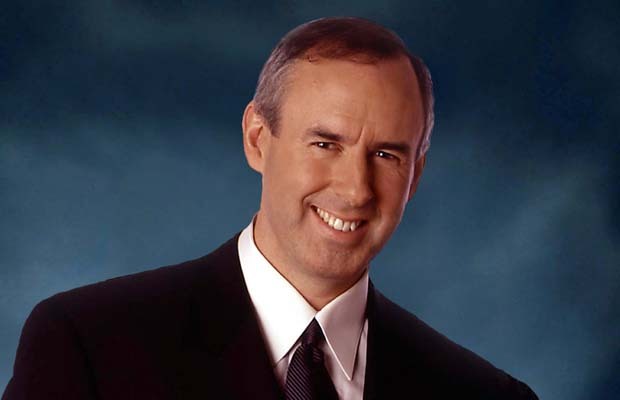 Nobody has ever considered Ron MacLean a respectable hockey analyst, only he is naive enough to believe that.